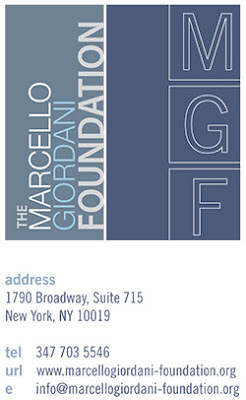 May 7th, 2010, Metropolitan Opera star Marcello Giordani will host a fundraising dinner and concert at which time he will launch the Marcello Giordani Foundation, a not for profit organization dedicated to assist and support promising young opera singers. The foundation, founded by Mr. Giordani, was created to encourage and enable young talented singers from around the world to pursue and achieve their career goals and transition onto the professional opera stage. The concert and dinner will take place on May 7th, 2010, at the New York Athletic Club, 180 Central Park South, starting at 6 pm. Under the guidance of Marcello Giordani, the Foundation will establish, organize and sponsor master classes, seminars, and summer programs in the U.S. and abroad, as well as provide encouragement, training opportunities, career assistance and financial support, including scholarships and awards to promising and talented young singers. Many of them will be the great singers of tomorrow, and it is with them that the future of opera resides. It is the goal of the Foundation to contribute actively to their success. The event will begin with a concert featuring Marcello Giordani and handpicked young talented singers from Europe and the United States: Daniela Pedi, soprano (Italy), Heather Gallagher, mezzo soprano (Miami), Dario Russo, bass (Italy), Steven LaBrie, baritone (Philadelphia), Robyn Lamp, soprano (Miami), and Sabina Kim (New York). At the piano will be Maestro Elda Laro, musical coach at the Teatro Massimo Bellini - Catania. At the end of the concert, Mr. Giordani will present The Marcello Giordani Lifetime Achievement Award to legendary soprano Magda Olivero in her centennial year, connected with us from her home in Milano. Madame Olivero’s career and artistic accomplishments will be presented by Metropolitan Opera Star Aprile Millo. After the award ceremony, Mr. Giordani will introduce the staff and honorary board members of the Foundation who will take part in a question and answer session with journalists and members of the audience. The evening will conclude with a fundraising gala dinner. Trivia: Giordani's US debut was with Portland Opera (Oregon) thanks to the keen ear of then artistic director Robert Bailey.